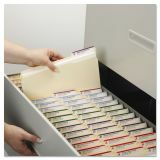 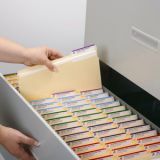 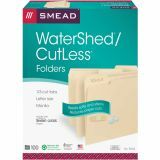 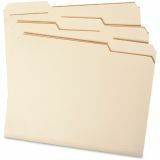 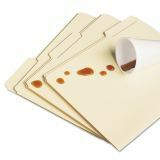 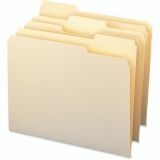 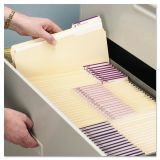 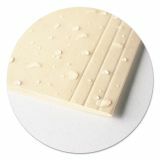 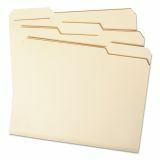 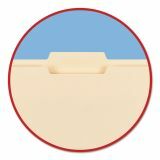 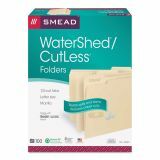 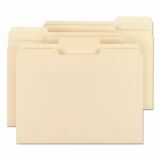 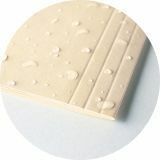 Smead WaterShed/CutLess File Folders, 1/3 Cut Top Tab, Letter, Manila, 100/Box - Folders resist spills of liquids such as water, coffee, soda and more. Simply wipe off folder. 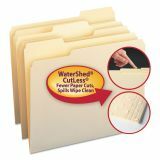 The special Watershed surface will accept notes using a ballpoint pen, rollerball pen or pencil. 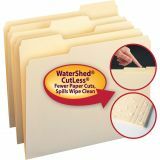 Dirt-resistant and finger oil-resistant folders also reduce the risk of paper cuts because they are made of Cutless paper. 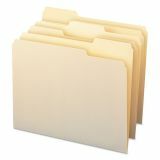 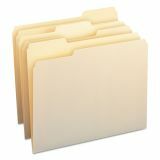 1/3-cut tabs come in assorted positions for easy access to your files.